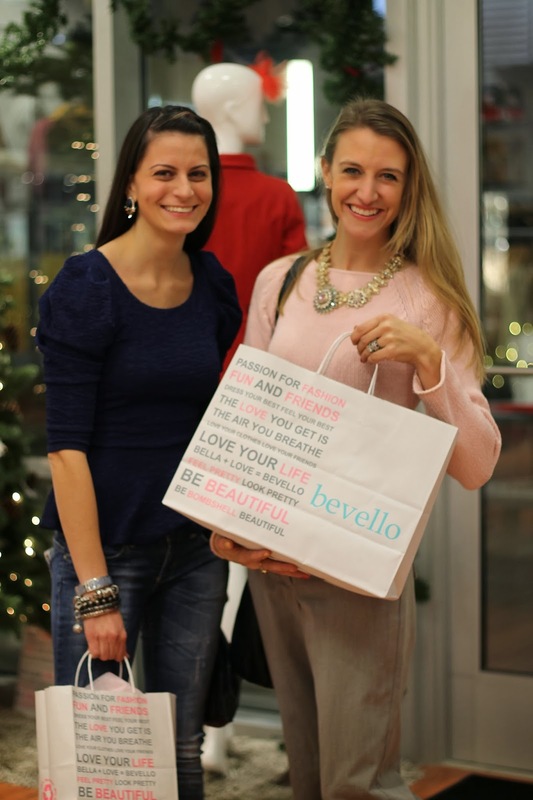 On December 5th I hosted a shopping night at Bevello, which is a new store in the Roosevelt Collection that I have raved about here on the blog before. It was a super fun night of shopping and hanging out with some of my favorite Chicago ladies! I am so very bad at remembering to take pictures when events are going on, but luckily someone grabbed the camera before we left and snapped a few pics along the way. I guess we were having too much fun playing dress up. This red blouse I'm wearing from Bevello was a crowd pleaser. It came in plum, tan and red and it left with many of us that night, along with many other cute finds. 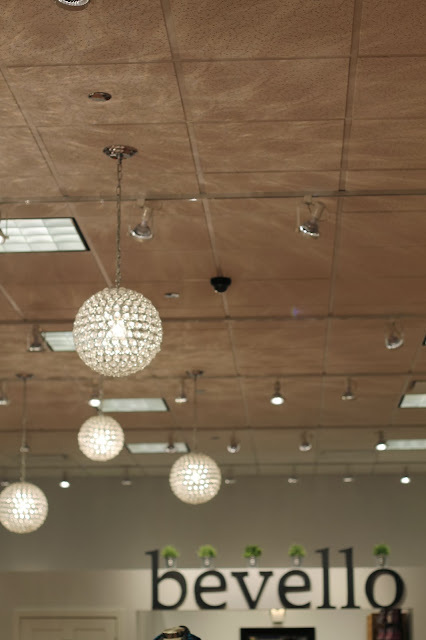 I want to thank all the ladies who braved the cold weather that night and shopped, as well as Jillian of Bevello and her staff for making us feel so comfortable taking over the store for the night! Chain necklace: HRH collection "Original Cuff"
Peggy from Hallways are My Runways and Angie from Accessory Mercado found some great stuff. And don't you just love Angie's necklace and Peggy's earrings both from Accessory Mercado!